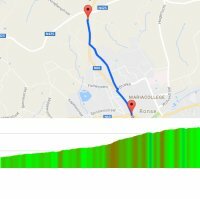 At 200.8 kilometres, Omloop het Nieuwsblad contains 13 hills and a number of cobbled sectors. Luke Rowe and Greg Van Avermaet attack at Taaienberg with 50 kilometres left. Benoot and Sagan join them to spice up the finale. In the end Van Avermaet powers to the win, besting Sagan and Benoot in the sprint. Saturday, February 27, Omloop Het Nieuwsblad is on the menu. Peter Sagan, Fabian Cancellara, Niki Terpstra, Greg Van Avermaet and Philippe Gilbert will be present in the race that was won by Ian Stannard on last two occasions. Cyclingstage.com brings you the start list of the 2016 Omloop het Nieuwsblad. Saturday, February 27, 2016 – At 200 kilometres, the 2016 Omloop het Nieuwsblad is comparable to last year's edition. The riders are to brave thirteen Flemish hills and 18 cobbled kilometres, while both start and finish are on the Emile Clauslaan in Sir Bradley Wiggins' birthplace: Gent. Saturday, February 27, Omloop Het Nieuwsblad marks the opening of the Opening Weekend of the Belgian classics. A strong field will be waiting impatiently to show what they're worth, despite title holder Ian Stannard being absent. No worries, the likes of Kristoff, Sagan, Cancellara, Terpstra, Boonen and Gilbert are perfectly capabe to make a spectacle out of it all by themselves. Cyclingstage.com brings you the favourites for the Omloop Het Nieuwsblad 2016.